Like James Stewart in Hitchcock’s “Rear Window,” Robert Amstadt watched the atrocity from his Milwaukee apartment in horror. It was “the most evil thing I’ve ever seen,” he later told the Milwaukee Journal Sentinel. Curious, he rushed to the window only to find his view obscured by a patch of trees lining the large pond that residents of both complexes enjoyed. Before Amstadt turned away, a man carrying an infant walked out from between the trees and continued down an asphalt path toward the water. “It was a hornet’s nest of people moving around … crying and screaming,” Amstadt told the Journal Sentinel. Still, he didn’t call the police — he just watched until something strange happened. One of the crowd members stepped forward and grabbed the bawling baby’s arm. The man with the infant yanked it back and began bee-lining directly to the pond. Amstadt called 911. The man holding the baby reached the water’s edge while Amstadt was on the phone. “He just walked into the water with the baby,” Amstadt told the emergency dispatcher. The 6-foot-tall, 200-pound man “didn’t try to hold the baby up” but kept it firmly underwater as the water rose to his chest. With the baby firmly underwater and out of sight, someone finally sprang into action. Joey Griffin, a member of the throng of onlookers, splashed into the water. He noticed its tiny, limp body floating some feet from the man. 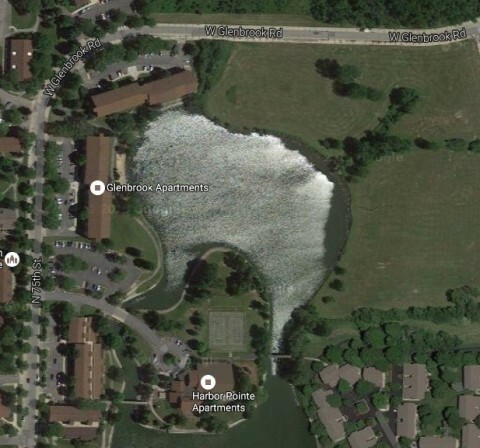 By the time police and the Milwaukee Fire Department arrived at the pond, the man was no longer holding him. Some of the responders dove into the water, and found the baby’s body. Others arrested the man, who was still standing in the water. Firefighters attempted to revive the child to no avail. He was pronounced dead at the scene. The baby’s name was Sean A. Flowers III. He was born on April 18. He died on July 30. The man they arrested was Sean A. Flowers Jr., the baby’s father, police announced Monday. Police say he drowned the baby after getting in a fight with the child’s mother, according to WISN. Neighbors are still in shock. Some have made a small memorial for the child, which includes balloons and stuffed animals laid gingerly at the water’s edge. “It made me sad, it made me cry, that a man would actually do that to his own child, his own baby,” Keira Hulbert, a neighbor, told WTMJ. This was not Flowers’s first run-in with the law. In 2012, Flowers and the boy’s mother, 26, who remains unnamed, pleaded guilty to misdemeanor theft for stealing the purse of a Marquette University student. 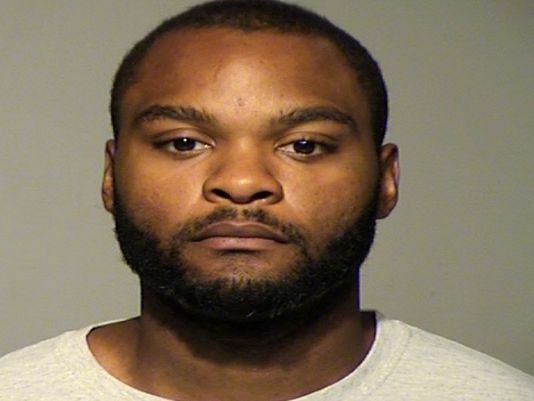 Flowers violated the probation he received and ended up serving prison time, according to court records obtained by the Journal Sentinel. Then, the woman became pregnant with the couple’s first child — a girl. She wrote to the court, requesting an early release for Flowers so he could be present for the child’s birth in August 2014. It’s unclear if he received the early release, but he did dispute his paternity of his daughter until DNA testing showed that he was the biological father. At a hearing in February 2015, he conceded, and he and the woman were granted joint custody. The judge ordered Flowers to pay $20 weekly child support. Several months later, the woman filed for a restraining order against Flowers after alleging he kicked down her door and threatened her and had previously punched her repeatedly. After all of that, Flowers wrote to a judge asking for his criminal record to be expunged, citing his difficulty finding work and providing for his family, but he was denied. Flowers was recently ordered to pay a higher child support — $62.50 per week — which was set to begin on Monday. This is the kind of story that asks more questions than provides answers. "should receive" rather than what is reasonable. This story talks about not being his first run in with the law. probability of having a "run in with the law" that could well be entirely fabricated. problems that lead to real crimes and endless lives of crime. all too often caused by those with a duty to serve and protect.